The Laguna Gamagori Marine Resort, located in Gamagori City of Aichi prefecture, will be hosting a "Naruto - Memories of Chakra" theme park attraction between the 17th March to the 2nd September. This event is being held to coincide with the 10th anniversary of the start of the Naruto anime series. The main attraction of the theme park will be the "Memories of Chakra" which will recreate many of the famous set's and scenes of the series. 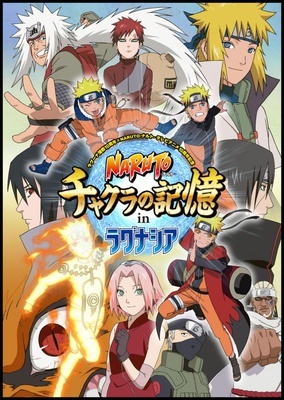 Among those being remade in the theme park are the Hokage Palace, Konoha Ninjustsu Dojo and a Ninpoudo shop where customers can purchase exclusive goods from the Naruto series. There will also plenty of character shows to be seen, and guests can take part in a "Sharingan Stamp Rally" taking place around all the areas of the attraction.